Living Life Abundantly, Fully Awake, Empowered, with Joy, Hope, Purpose, and Adventure! A few days ago, someone asked what I had planned for Thanksgiving. For the first time in my life, I didn’t know how to answer that question. I’ve known the life altering changes of grief, of distance, of situations, like last year, when the night before Thanksgiving, my sweet Mama was rushed to the emergency room with a life threatening blood clot in her leg. By midnight, the Dr. had determined she’d need a vascular surgeon to do a critical and immediate operation. Finding one on Thanksgiving eve was a challenge. An hour after making several calls to Dallas hospitals, the ER doctor finally got a call back from a vascular surgeon who agreed to take Mama’s case and do the surgery. Driving a toll road I’d never driven at 3:00 A.M., following the ambulance transporting Mama, was not in my Thanksgiving plans last year. But I was thankful my dear friend, Mona, agreed to ride with me for the forty five mile trip to Dallas in the middle of the night to keep me from being alone. We shared a Thanksgiving meal in the hospital cafeteria, and it was actually quite good. We were touched and thankful for the food and for the volunteers serving the Thanksgiving dinner for families who had loved ones there. Nothing has been the same since last Thanksgiving. Mama was unable to return to the assisted living residence she so loved; and the rest of the year (and into this one) meant rehab at one facility, several more hospital stays, and another admission to a nursing facility, where she is today. Someone once said, “Life happens while you’re making other plans.” I’ve found that out too many times in my life. The greatest one being when my eighteen year old son, Thomas, was killed in a car accident. My world changed forever. No Thanksgiving (or any other holiday) has ever been the same since. And I know far too many mothers who understand exactly what those three little words (never the same) mean. Life happens. Grief rocks our world. Individually, and collectively. In various ways, at various times. And in truth, the ideal Normal Rockwall, Mayberry, or Walton’s kind of Thanksgiving doesn’t exist for most of us. So, how can we be thankful when the world is a mess, evil prevails in every corner of our universe and threatens the very core of our existence? How do we sit at our tables with more food than we can consume without thinking that somewhere, perhaps in our own community, someone is hungry. Someone is lonely. How do we say and keep saying thank you to God? Perhaps, the real question is, how can we NOT be thankful? I know, that sounds out of place and even odd, if you add up the circumstances of almost anyone’s not-so-perfect life. I think of this past year: all of Mama’s adjustments, and mine, concerning her and taking care of so many decisions. I think of how last June my world was rocked again when my husband, Harvey, had to enter a medical facility due to complications with Parkinson’s disease. I’ve had my share of meltdowns this past year. I’ve invited myself to my own pity parties. And I’ve cried out to God more than a few times that none of it is fair. That my life has changed yet again. That it’s too much to carry. And somedays, I feel I’m losing the optimism, faith, and grace challenge. But sometimes, late at night, or very early in the morning, I feel God’s presence. Not in a big, scary, or awe inspiring kind of way. But in a gentle, compassionate, comforting kind of way. I thank Him for just being with me. For helping me through my days. For guiding and directing me in the decisions I have to make alone. For keeping me and stretching me in ways I thought I could never be stretched. I thank Him for the people He puts in my path. I thank Him for friends who come alongside to help me, encourage me, listen, and give the gift of hope. And I know, somehow, He hears my heart. And He knows when it is breaking. And He comes close and He tenderly collects my tears. I recently read that our tears are different at different times depending on what emotion we are feeling. Ever since reading that fact, I’ve paid attention and realized, sometimes, my tears feel as big and as heavy as a quarter. And sometimes they feel small, light, fast-flowing…almost invisible. But I believe…He collects them all. And somehow I know…they are precious to Him. For that I am thankful. I’m thankful that despite the hardships of this life, I have God, walking with me through them all. And I’m thankful that because of the trials, I’m able to help someone I may have never been able to help—just because I understand their sorrow in a depth that cannot be described in human words. 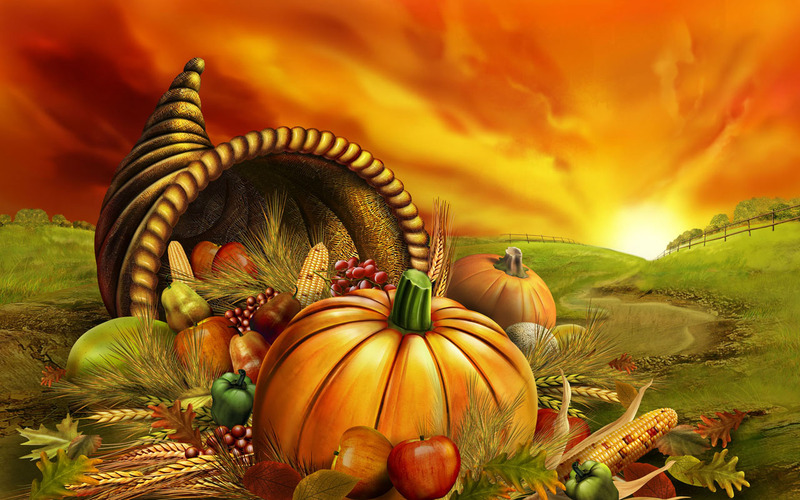 So, what is Thanksgiving all about? It’s about being thankful for where we are, right here and right now. Tomorrow is not promised. But we can acknowledge the thankfulness in our hearts for so many blessings. I’m thankful for my son who graced our lives with precious love, even if his time on this earth was cut short. I’m thankful for my daughter and her family, for extended family, and for friends. I’m thankful for every opportunity to share God’s love, and to be the evidence that we are never alone. I am thankful for my Mother, for her 96 years on this earth, that I’m still blessed enough to have her with me. I’m thankful for God’s Word, for truly it is a lamp of light when life is so dark. I’m thankful for seasons, and stars, and sunlight, and water, and for Hope. Always for hope. I’m thankful that no matter how long or short our time on this earth, we have a chance every day to make a difference, to smile through our tears, and to dance. I’m thankful for rainbows and chocolate and laughter! I’m thankful for a gathering of friends where you can love and feel love. I’m thankful for flowers and little creatures we call our pets; I’m thankful for words and for music. I’m thankful for feet that can carry me, and hands to work with, and eyes that marvel at God’s sunset paintings. I’m thankful for tears. I know they help me heal. And they let me know what I’m made of and how immeasurable love is in me. I’m thankful that God surprises me sometimes with His favor. I’m thankful He is a friend I can run to, sit with, talk to. I’m thankful for color and creativity and for the desire to make things beautiful. I’m thankful God has made me brave. And I’m thankful that to Him, I’m beautiful. I’m thankful He sings over me, even if I don’t hear it. And I’m thankful that after so much sorrow and so much heartache, I have discovered that thankfulness itself is sacred, holy, and perhaps the biggest key to healing. So, what are my Thanksgiving plans this year? To be more thankful: for every little moment of love this life has to offer. 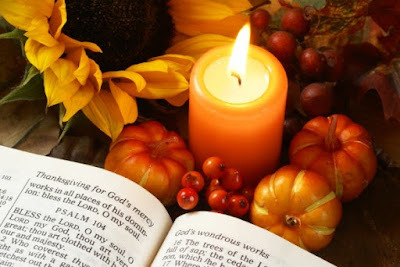 Lord willing, I’ll be with Harvey; visit my sweet Mama; I may cook or I may not, and I will hope and pray that other family members and friends I can’t be with will somehow, for a few hours at least, capture and experience that Norman Rockwall version of Thanksgiving Day wherever they are. I pray, in that moment, they realize that of all of life’s blessings, LOVE and THANKFULNESS are the greatest gifts of all. Gadgets. My world is filled with gadgets. And more than likely, yours is too. Once I learned to use them, I loved them. For awhile. Acquiring them was stressful enough…but after reading the manuals, acknowledging the intensely pressured feelings of getting left behind in this cyber-crazed world if I didn’t keep up, landed me in a love-hate-gadget-purgatory. I love the convenience of technology. I hate my increased reliance on them and the constant pressure to learn more and more. Technology is quite literally taking over the world…and (in my opinion) replacing true relationships. Sitting here now, I find myself thinking of Victorian times when there were no phones; when handwritten letters, notes on doors…and real face-to-face visits characterized real social living. Today we have what is called social media….and most of our relationships are experienced by a machine you must log into to communicate with someone you care about. I still remember and admire my third grade teacher, Miss Wood, who taught me to write in cursive. She was a perfectionist when it came to penmanship, for which I will be eternally grateful. I wonder, if she knew how much she would be revered down through the ages, when machines and computer fonts attempted replacing her teaching skills and craftsmanship? I still love handwritten notes, cards, and letters. They have become almost a lost art…but I am thankful I can appreciate them and include them in my life both when received and sent from my own hand. There are days, I admit…I fantasize about driving down the highway at top speed and throwing my cell phone, my tablet, and my I-Pod out my car window! I envision myself shouting at the top of my lungs as I give them a final toss: Good bye and good riddance! I don’t need you anymore! I’d keep driving…and driving, until the scenery changed and I could breathe deeply again. I’d stop my car, close my eyes and (if I could choose the next scene), find I’d arrived in Mayberry. 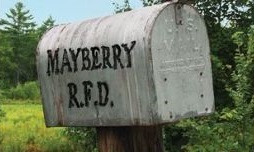 Yep, good ole’ Mayberry, where, Aunt Bee cooked up real comfort food, dished out plenty of genuine common-sense wisdom, and where Sheriff Andy and Deputy Barney Fife kept an ever watchful eye on their little town from their Main street porch chairs. I wonder, is this also why I love movies about small towns, common folks, and the simple lessons of life? Have we become so gadget dependent that we’ve lost touch with the reality of living? Keeping up in the real world of modernization, people say, is where it’s at today. And most days, I follow that line of thinking. But there is a longing in my soul that calls me to simplicity, to the days when hanging clothes out to dry on a real clothesline, and opening the windows on the first warm days of summer that no gadget can ever replace. Laying out under the stars rather than googling them on the computer appeals to my sense of wonder as a human being, not a human-doing. There’s a difference…in being…and in doing, doing, doing. I thought my first computer was supposed to help me get rid of office clutter and paperwork. But to my surprise, it grew. Why? Because, while I was able to save time and accomplish more, I added volumes of stuff to my already full to do list. So I ponder the question often, have we improved our live with all the gadgets available to us today? I no sooner figure one out than it becomes obsolete…and I have to replace it with a newer version. It’s a never ending race, and if I’m honest, I get mentally weary trying to run it. The Bible says there is nothing new under the sun. But I truly cannot imagine gadgetry in heaven. I can never make myself believe that when I get there, I’ll visit a great technology museum and find that I-Pads and cell phones have always been. In fact, if I knew there were such a museum, I may not even want to go! But a Mayberry kind of heaven? Now that’s something I could look forward to! In my love-hate feelings for gadgets, and why I feel myself rebelling against them some days is because I seriously doubt they were ever in God’s plan! Oh, the warring inside between heavenly Mayberry and technology hell! These words, typed on a keyboard and computer might not have ever seen the light of this glorious day without technology. I have to admit, for a moment, my thoughts have found life on a screen where I can sort through the glory and the agony of modern day living. And I can’t help but wonder… is there a Mayberry screensaver I might purchase online? The fact that Betty and Pickitt were black and I was white never entered my little four-year-old mind. All I knew was that they were my friends and I loved them like most kids love a grandmother and granddaddy. I felt safe and always welcome at Betty and Pickett’s house. Looking back now, they seemed to get a kick out of my childhood wonder and conversations. Sometimes they would read me a story from the well-worn Bible that often lay open on the kitchen table. They always took time to answer my questions, and I remember feeling that they always wanted me to stay just a little longer. Many times Betty would send me home with a few still-warm baked sweet potatoes tucked under my small arms. She’d say, “Now you run on home and take these to your mama.” I really felt like I had done something good when I handed Mama those sweet potatoes. I explained simply, “They just taste better at Betty’s house.” Maybe it was the old wood stove she cooked them in, or perhaps it was the way she heaped on fresh butter and a pinch of salt. Whatever the reason, I can remember their unique taste that to this day has never been matched. Even more, I can picture Betty’s smiling face as she handed me a plate and then winked at Pickitt, watching me intently as I devoured the much-appreciated feast. I never remember a visit when Betty didn’t have something cooked and ready to serve. Giving was a way of life to them. “No, but thanks for asking,” Mama would say. “That’ll be fine.” Mama usually replied. Sitting on the front porch steps, eagerly awaiting Pickitt’s return, I remember thinking, I must be special to Betty and Pickitt. I realize now that we indeed shared a special friendship—one that defied age, race, and intellect—friendship born of the spirit from which flows love, acceptance, peace and joy. This kind of friendship does not recognize prejudice or status in life: but only what the voice of the heart calls “real.” When Pickitt handed me my much-anticipated package and I said “Thank you sir,” it seemed to just make his day. “Well, can you understand what they are sayin’?” I asked. “Sometimes I can,” Pickitt answered. A few days later, on yet another visit, Pickitt called me over to the turkey pen and pointed to the young turkeys that were roaming about. “You know, Miss Suzie, Thanksgiving will be coming up in a few months, and I’ve just been thinkin’ that you might like to pick our a turkey of you own for me to raise just for you.’ I quickly pointed to the one I thought was the very best. Pickitt pulled a colored string out of his overall pocket and handed it to me. “Well, all right now,” he said, “Let’s catch him and tie this string on his leg so we’ll know for sure which one is Miss Suzie’s turkey.” I never gave the fate of the doomed bird a thought. I was too caught up in the excitement of Pickitt letting me capture and tag my own Thanksgiving turkey. I felt proud, as if a special honor had been bestowed upon me. He suggested we name him Tom. My daily visits found me looking anxiously inside the pen for Tom, the grandest turkey in the place with the red string tied to his leg. Pickitt told Mama about our adventure and said she could be expecting ole’ Turkey Tom around Thanksgiving. Although the friendship between a white child and an old black couple was an unlikely combination, it became a bridge that closed the gap in an all too prejudiced society. With wisdom, humility, and a servant’s heart, Pickitt was able to give gifts through me to my family without it resembling charity. The treats he brought me from town provided moments of anticipation and joy. Knowing a turkey was being raised just for me gave me something to look forward to. I could not have known at the time all I was being taught. But somehow, I think Petty and Pickitt did. I also believe they were old enough and wise enough to learn some simple lessons from me, too. One sultry summer afternoon, while driving down a southern country dirt road, I passed an old abandoned weather worn house obviously in need of repair. With my mind intense on keeping my car steady as it swerved and bounced on the bumpy road that was hardly more than a path, I scarcely paid much attention to the dilapidated structure. But farther down the road, I found myself curiously preoccupied with the brief mental picture my mind captured of the old house. Having no pending deadline, I gave in to the nagging urge to turn around, drive back to the old house and have a second look. What had caught my attention enough to make me backtrack to such a hopeless looking scene? I wasn’t sure, but that inward nudge would not be silent in its relentless attempt to speak. I’ve learned that in listening to the moment, often a great lesson is waiting to be learned if I will but take the time to look and hear…not with my natural senses, but with my heart. Weeds and gnarled vines had overtaken what looked like was once a well tended garden. An old iron arbor gate hung by a lone hinge and creaked in rhythm with the gentle summer breeze. Arbor trained climbing roses, long dead from thirst, entwined still green wild, overgrown hedges that formed a fence around the front yard. My mind wandered, conjuring up scenes of what this place must have once looked like. Who occupied this old homestead—and if its walls could talk what stories might they tell? As I got out of the car and strolled toward the old house, I was surprised to see that the house itself appeared strangely intact and structurally sound. Every board seemed secure and wooden shutters valiantly framed fine paned windows. The more I observed, the more I realized I was looking at a sturdy and once lovely homestead. Someone with dreams lived here. Someone who loved flowers and life. It’s a shame, I pondered, that a property and home with such potential should be unoccupied. I'll bet, with a little work, this place could be a wonderful, warm, welcoming dwelling place again. In fact, it looks like to me, all it really needs is a fresh coat of paint. Back on the dusty road, I drove, windows down, respecting the endless mass of potholes impossible to avoid. Thoughts of my visit to the old house made me smile wistfully as I realized the old house was an outward picture of an inward truth. By taking the time to go back and look again at what seemed insignificant I had learned something of value. Somehow, that day, I connected with that old weather beaten house. Inside, I had felt as bleak as the view in front of me. But seeing the potential in that old house, potential that must have gone unnoticed, missed by the average passerby made me turn around and take a second look. Strangely filled with hope, I sensed an awaking within. I began to metaphorically fix the gate, trim the hedges, prune the vines and water the garden of my dwelling place. Though bleak and desolate, I suddenly knew, what my soul needed, just like that old house, was a fresh coat of paint. If your soul needs a refreshing, I invite you to take a journey—back to what looks impossible, back down the dusty roads of your past to what you thought hopeless, back to forgotten dreams, back to the untended gardens in your life, and take a second look. You just may find, with the help of the Master Painter, all you really need is a fresh coat of paint. It never fails. 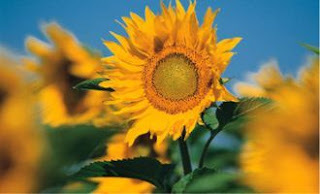 When the month of June arrives, I hear playing in my head the old song, “Summertime, and the living is easy. Fish are jumpin’ and the cotton is high…” The words paint a picture of carefree days filled with delights only to be captured in the window of time called summer. We all remember (as a child) when, on any given day, time stood still. For me those days included riding my bike for hours, many miles from home, when the world was not so threatening. On a recent trip back home, I retraced some of my bicycle miles and was amazed to realize how far away from home I had actually traveled. Like rewinding an old movie in my mind, I remembered not only the scenery, but I recalled the keen sense of freedom I felt, wind blowing through my hair, peddling furiously to buildup enough speed to not only stay cooler, but so I could coast and daringly take my hands off the handlebars. Only by the sun’s position in the sky did I guess when it was time to ride back home for supper. And even afterwards, twilight called me and my older sister outside again to enjoy more adventures of catching fireflies in a ball fruit jar, or laying out under a star studded sky in search of the milky way or the big dipper. Before the days of computers, cell phones, Nintendo, and video games were days of real imagination—when clouds became sculptures, sprinklers watered the flowers as well as kids running through streams of magical, cooling bliss—when two tin cans and a string became an extraordinary means of communication with a playmate. Another favorite June pastime: searching tirelessly for four leaf clovers, and gathering enough red-blossomed stems to make a chained headdress for my hair. Little treasures with great big memories. Now that I’m grown up, my mind is more tuned to everyday challenges….making a living, running a speaking and writing ministry, holding a support group, answering a great number of phone calls daily—and an ever present awareness of how many broken people there are who need help, healing, and a whole new batch of memories. Many did not have great childhood memories—and the movie that replays in their mind is not scenes from blissful, carefree days, but of painful moments they’ve carried into adulthood--moments that bookend their present hurts, creating an ever present veil of hopelessness. Brokenness knows no seasons. I remember all too well, that first summer after losing my eighteen year old son, Thomas. Remembering the end of school-year parties he and my daughter, Kelly, attended, the feelings of anticipated fun, swimming, and vacation planning suddenly became vivid collections of a time I couldn’t have known then would become such a priceless treasure. I sit here on this day, realizing I have a choice. To remember…with sadness, or joy... and create the bookends of my present moments. I’m glad I have my childhood memories, but I am also aware, because of the devastating pain of my own loss, how important it is to create new memories, capture moments (even this present writing moment), and keep my mind and heart focused on everyday blessings. None of us can change the past, but when we’ve suffered pain in our lives, we are given a sort of unspoken permission to live life to the fullest, with the same carefree abandon we may have felt as a child. There is a deep inner knowing that life has already dealt the hard stuff…that nothing can trump what we have already experienced (not that it can’t be repeated), that we are still here. That life is an open invitation from God—a divine door we are given to open each day, where we can we can go exploring the country roads of our choosing, take our hands off the handlebars, coast in the moment, and know that somehow (perhaps by the light of fireflies), we’ll always find our way back home. (c) Susan Duke. Picture Window theme. Theme images by konradlew. Powered by Blogger.